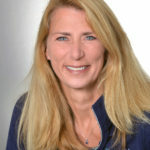 Sue Pogue is a licensed massage therapist with more than 17 years of experience as a solo practitioner. She specializes in neuromuscular release therapy combined with relaxation massage. In addition, she sees clients part-time at a local chiropractic practice, providing therapeutic massage for patients after chiropractic adjustment. A graduate of the University of Cincinnati, Sue earned a Bachelor of Business Administration and began a career in accounting. After 12 years, she left her career to pursue her passion for helping people. She enrolled at the Cincinnati School of Medical Massage, from which she graduated in 2000, and began her second career. Sue firmly believes massage benefits the body and mind. The physical manipulation of muscles can provide soft tissue relaxation which can decrease nerve compression, increase range of motion and relieve physical pain. Further, the relaxation of the nervous system that accompanies this can provide relief of anxiety, stress, headaches and many more maladies. A Cleveland native, Sue now resides in Hyde Park/Mt. Lookout. She is married with a 17-year-old daughter and two cute Australian shepherds.